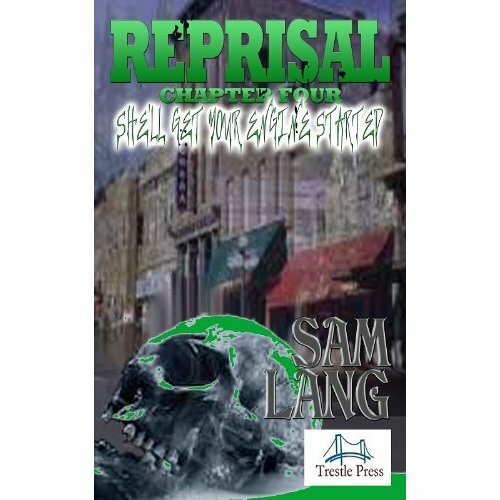 Sam Lang's Reprisal series has had a promising start. We have now reached the fourth instalment of the Reprisal story arc which is proving to be a slow burner of a series. Lang is taking his time and bringing us delicious little mini stories to develop the Reprisal universe and introduce its deadly denizens. This tale and the previous one have dealt with two convicts who will no doubt be travelling though the town of Reprisal in the near future. Rather than be frustrated by the slow start I am really enjoying the build up. Sam has another dark tale this time from the point of view of another prison inmate. The prisoner in question is in the next cell to the convicts who feature in Reprisal 3 - Shadow Boxing. If you enjoy Sam's dark and interesting narrative as much as I do then you’ll find him an entertaining writer with a great eye for detail. A natural yarn spinner. He crams in lots of little details that pique your interest and make you want to keep on reading. A subtle humour is ever present. I'm not sure how conscious this is for the author it seems so natural. However, this is not silly slapstick humour but dark as tar black humour. Another great read from Sam Lang in this increasingly intriguing and gripping series.